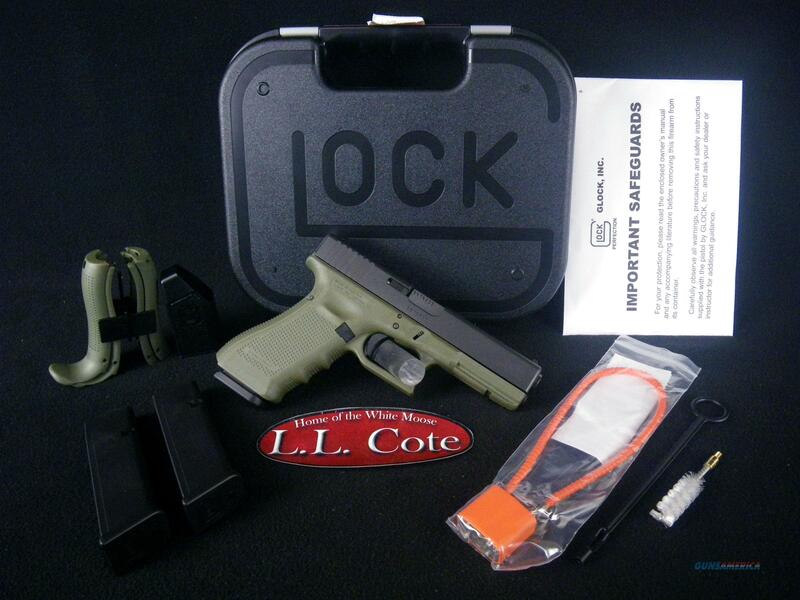 Description: You are bidding on a Glock 17 Gen4 in 9mm with a 4.49" barrel. The Glock 17 Gen4 introduces revolutionary design changes to the world’s most popular pistol. The modular backstrap design lets the user to adapt the grip to hand size, and the frame surface exhibits the scientifically-designed Gen4 rough textured technology. A dual-recoil spring assembly that substantially increases the life of the system is standard. This model features a Battlefield Green molded polymer (not Cerakote) and black slide. Displayed images are stock photos. Any questions please feel free to ask (our phone number is in the additional information tab above).